St David’s Catholic Sixth Form College is celebrating a record-breaking turnout to its open evenings this November. 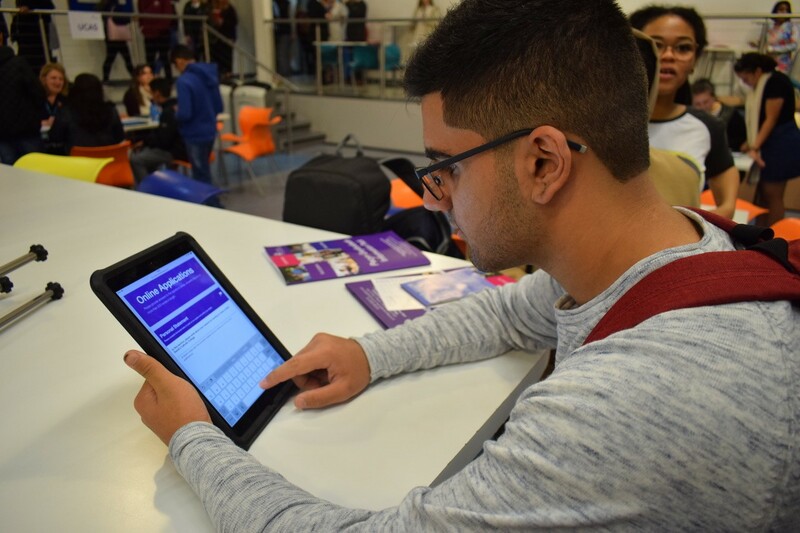 The Cardiff-based sixth form college welcomed almost 1000 young people across the two evenings to its Penylan campus, all looking to take their next steps in their education. With an increased footfall of almost 20% and a 32% increase in completed applications since the previous academic year, St David’s is becoming increasingly oversubscribed. The College also recently celebrated its 30th anniversary of nurturing youth in the 2017/2018 academic year and marked an enormous success with regards to applications and student A Level results. But now it’s already set to reach a record number of applications for the 2018/2019 year. Speaking of the open evening success, St David’s Principal, Mark Leighfield, said: “We have been educating young people in Cardiff for over three decades, and it’s great to see student interest in St David’s continue to rise. We’re proud to offer a variety of courses, ranging from the sciences to creative subjects such as art and design, film studies, languages and more which cater to everyone, whether they’re opting for A Level or BTEC pathways. Present students were very much front and centre at the open evening events, showcasing their work across all departments, most noticeably in the art department with creative projects on display. They also acted as chaperones for parents and prospective students during both events, providing real insight and sharing their personal experiences at the College. Based in Penylan, St David’s Catholic Sixth Form College is the only Roman Catholic sixth form college operating in Wales currently, helping to nurture successful students through its supportive and stimulating learning environment.